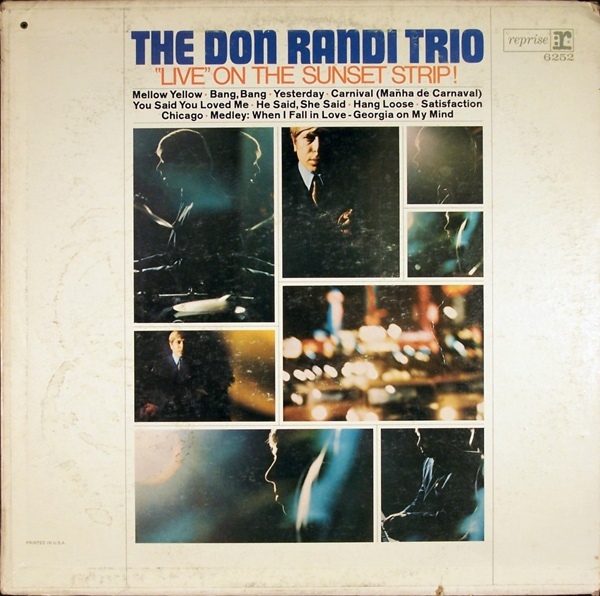 Don Randi | Cue Castanets! 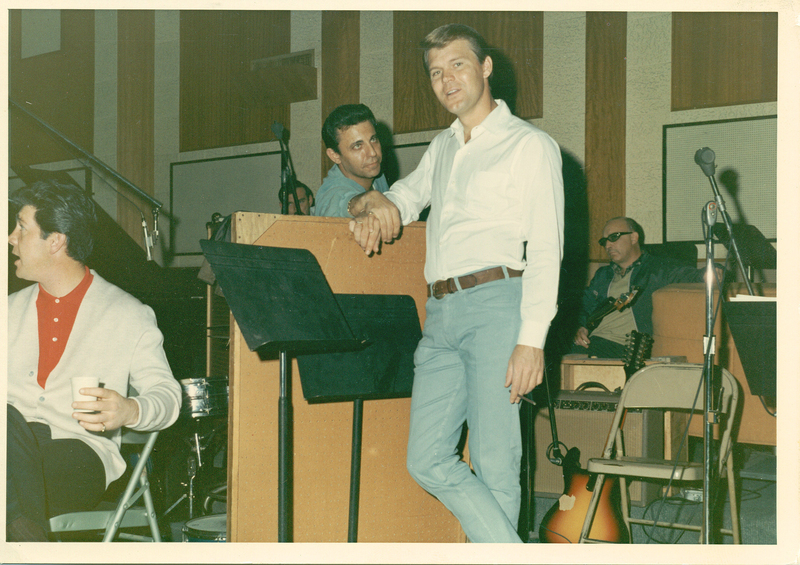 You may already have read my lengthy interview with legendary Wrecking Crew pianist Don Randi which was published here a while ago, – if not, click the link below to learn about Don’s time in the studio with Spector and read some of his great stories about the 60s LA studio scene. The interview came about because I learned Don had a book coming out, the aptly titled ‘You Heard These Hands’ detailing his many musical adventures. As I recently got my own hands on Don’s book, I thought a review would make for a nice follow-up to the interesting interview Don was kind enough to do for Cue Castanets. I was really looking forward to this book and sure enough, once I picked it up it was hard to put down again. ‘You’ve Heard these Hands’ turned out to be a very worthwhile read, although I have a few points of criticism which I’ll get to later. Overall though, this book is sure to interest not only any fan of the Wall of Sound but also the casual music fan leaning towards classic 60s and 70s music. Name a US hit artist or iconic single and there’s a good chance Don and his golden piano-playing hands have been involved. The guy’s résumé is nothing short of impressive which applies to the Wrecking Crew in general of course. Cover for Don’s book. A must-read for fans of the Wall of Sound & 60s LA pop..
What’s a bit unusual about ‘You’ve Heard these Hands’ is the structure which at least for me took some getting used to. Normally, a ‘my life in music’-type book like this will organize the career-spanning narrative chronologically, typically starting out with a chapter about one’s family background, first forays into the music business etc. Not so with Don’s book. We’re talking page 146 and chapter 37(!) before we get to that! 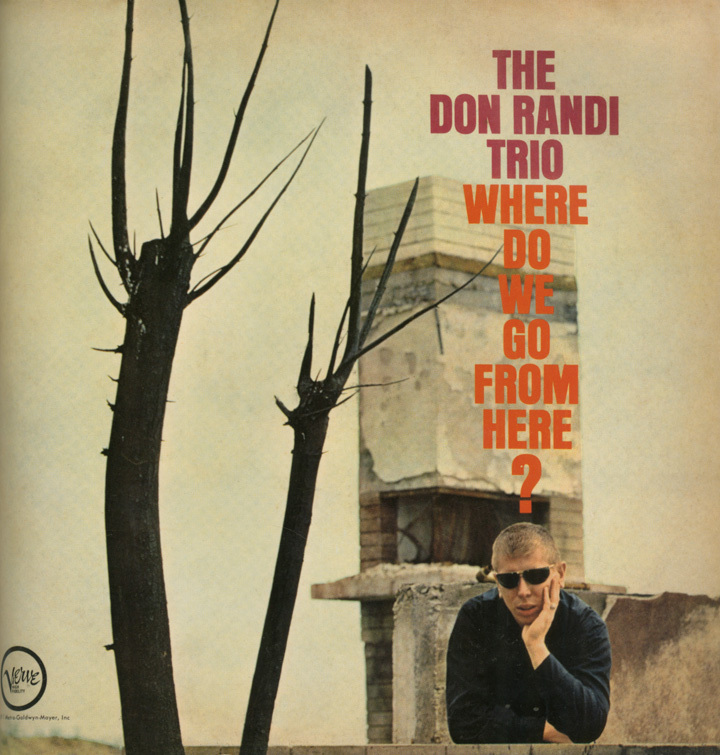 Leading up to this are a lot of chapters that are organized around specific producers Don has worked with, sessions he’s played on, clubs the various incarnations of the Don Randi trio has played etc – basically, the chapters are all over the place with significant jumps back and forth in time. For some this lack of a chronology may irritate – it certainly took some getting used to when I read the book as I felt it made the storyline feel both disjointed and rambling. A bit like “oh, there’s this story, and we also have this story,… and we can’t forget this one” basically organizing the chapter outline of Don’s book as the various anecdotes popped up in quick succession. But then, as I read on, the format started to make more and more sense once I began to sense what kind of person Don is through reading his stories. I should add, by the way, that Don’s collaborator Karen ‘Nish’ Nishimura has put Don’s many stories into words in a very thoughtful and easy-flowing manner. She avoids the pitfalls of ghostwriting that can often be painfully obvious when reading collaborative music books like this. The end result then, with the jumpy narrative and the warm, personal tone of the text, makes reading ‘You’ve Heard These Hands’ feel like the written equivalent to walking into Don’s LA-based jazz club the Baked Potato, grab a drink with Don at the bar and have him regale you with funny, interesting stories – the sequence of them changing by the day as he has so many to choose from. Keeping that picture in mind, this particular way of structuring the book, however intentional or not, turned out to make perfect sense to me despite my initial reservations. I won’t get into great detail with Don’s actual stories in this review because I’d rather encourage you to seek out the book yourself and imagine that you take a trip down memory lane with him. Don offers a variety of interesting stories that give you an impression of the frantic pace and hustling nature of the record business during the 60s and 70s. Many of the stories are hilarious and told in a colorful way which gives the book an easygoing, down-to-earth vibe that seems to correspond well with Don’s personality. One minor criticism though; for all the interesting anecdotes in the book, it’s a shame that Don and Karen didn’t include a bit more about Phil Spector and the Wall of Sound specifically. There are a few chapters on the topic in the book, and those certainly make for great reading, but the potential for insights could have been pushed much more. Even though we’ve had many eye-witness accounts from other wrecking crew members and Philles artists about the various Spector sessions, it would have been nice to learn a bit more about how Don remembers the recording of this and that iconic song or other interesting tidbits. Then again, having participated in so many sessions, often not knowing even the song title or artist designated for the recording, it is understandable if Don’s recollections about all this may be a bit blurry. Luckily, I got him to elaborate on some of his Spector stories in my interview. The Spector stories that are in the book are interesting though. Some of them because they seem to supplement or even challenge a few of the widespread Spector anecdotes; for instance, Don reveals that he actually befriended Spector several years before being called in for his first Spector session, ‘He’s a Rebel’, even forming a short-lived band with Spector, Steve Douglas and Mike Bermani. Don also claims that Sonny and Cher met while both worked Spector sessions and not, as has often been told, before Cher sang her first backgrounds at Gold Star. Elsewhere, Don tells about a late 70s session with Spector and other Wrecking Crew members that was supposed to result in four recorded songs for a mystery artist. That session sadly went nowhere because Jack Nitzsche, who was battling drug use at this point, hadn’t finished the charts for the songs as promised. If only he had, who knows what could have been? All in all, ‘You’ve Heard these Hands’ needs to be on your bookshelf next to Hal Blaine’s book if you’re a fan of the 60s LA studio scene and beyond. Don’t expect that much info on Spector, because in all honesty it’s less in depth on that topic than I thought it would be. On the other hand, you get to learn a lot about less recognized producers and arrangers on the scene, many of whom haven’t really been afforded that much attention in music books. One of the great things about keeping this blog is that I get the chance to discuss the Wall of Sound and Phil Spector with key people who have interesting insights. If you do a search for ‘interview’ via the search function on here, you’ll find quite a few I’ve done so far. I really enjoy doing these as I tend to learn something new each time – and I hope you readers out there appreciate the interviews as well. No matter what, I’m sure you’ll dig the following one with none other than pianist Don Randi of the legendary Wrecking Crew! 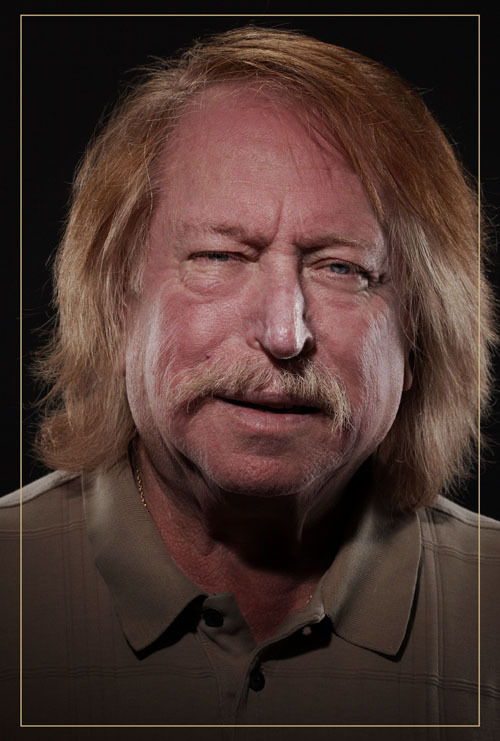 Don has literally played on thousands of recordings, including some of the biggest hits of the 60s. His piano playing adds to the rumble on the majority of Spector’s iconic Philles-era output as well as on later recordings. Don has a book underway about his life in music with the highly relevant, tongue-in-cheek title ‘You’ve Heard these Hands.’ Undoubtedly, everyone has heard his piano at some point due to the incredible and versatile productivity of the Wrecking Crew. I’m very honored that Don would take the time to answer questions for Cue Castanets about his work in the studio with Spector as well as indulge us with other stories from his longstanding career in the music business. It came about after I posted about Don’s upcoming book a while ago. Don and his collaborator, Karen Nishimura, were very open-minded towards my follow-up request for an interview for which I am very grateful. I also can’t thank my friend and fellow Wall of Sound-fanatic Anthony Reichardt enough for helping me out with the interview, including adding a few highly relevant questions. 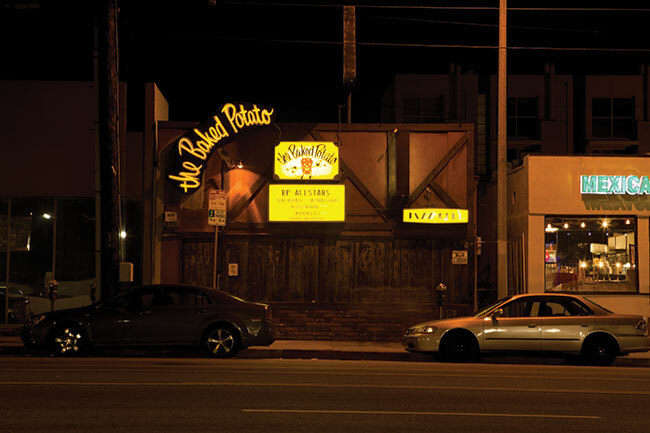 Let’s travel back in time then to 1960s Los Angeles and hear some stories about Don’s studio work with Spector and others. Don, first off; do you remember what was your very first session with Phil Spector? Were you already onboard at his first LA session, ‘He’s a Rebel’ in 1962, with what would be become known as the Wrecking Crew? We were actually called the Wall of Sound. We weren’t the Wrecking Crew yet – the Wrecking Crew name came three years later, maybe four years later. Originally, we were the Wall of Sound – for Phil – that was the sound the other producers wanted. That made us so in demand. And I think the first record was ‘He’s a Rebel’, – that was right at the beginning of me recording with Phil. I was hired by sax player, Steve Douglas. Steve, who went to high school with Phil, actually introduced me to Phil Spector a few years before that recording session. And I knew Steve Douglas because he played with me occasionally in a jazz band that I had. How did Spector in general strike you in the studio? I’ve heard that he worked you guys hard, letting you play on and on for hours before recording actual takes? Yes, he did work us really hard. I would love to say I was the only piano player but there were three or four of us, and sometimes five! Sometimes only two, but most of the time there were three or four of us playing piano; five guitar players, two basses – one acoustic and one electric bass, one drummer and some percussion. And then of course the horns. So it was interesting because that was basically the band and we all fit in one room at Gold Star Studios. Is it true what Hal Blaine writes in his book about Spector always letting the tape roll while you guys were warming up before actually recording takes? If so, there must be tons of tapes in the Spector tape vault. I don’t think he let it run all the time, it was not a constant thing. I know he had tape echo running along with the Gold Star echo chamber but I don’t think there was another tape running. A few session takes has been floating around amongst collectors. They give the impression that there was a good, friendly vibe on those sessions, jokes flying back and forth? Oh absolutely! That was the start of us getting called the “Wrecking Crew.” The tag meant the guys in the session were always messing around, “Be careful, or they’ll wreck your date!” Which happened later on because we would take time-outs. We had to! We would just have to lighten it up because we were working so hard. Especially with Phil! And not a lot of people realize that he appreciated a great joke too. Phil was one of us. Now, in terms of the Wall of Sound; did you as musicians recognize it as a very specific and influential ‘trademark sound’ while you were in the middle of perfecting it during the early to mid-60s? I think perhaps we did a little bit. We didn’t know too much at the beginning of a session. Working with Phil’s songwriting and his direction was great so that really helped a lot. It really did. Phil Spector contributed a lot. He liked to have a steel grip on production while getting to the right sound. We would go take after take and when it got to a certain point that was sounding good, we knew that was what he wanted. Did you feel as if you were making history on those sessions? I’ll tell you something very funny. The first time I realized that was when I was in my car, listening to “He’s a Rebel” – the final mix. Phil liked to mix the way it was going to sound in the car. He would go down to these little, tiny speakers that were almost the same as those car speakers. And he would mix that way. So I was driving in my car and said “Oh my god, that’s the first hit record I’ve played on.” And after that of course, lots! The music was very influential, but we didn’t know that at the time. We know it now but back then we were so busy making so many records – one after another after another. And for me, I kept going like that right up to the end of the eighties. I was that busy. Producers would still call me in for sessions. The Wall of Sound was of course a huge meshing of sounds; several guitars strumming in unison and for instance, like you’ve pointed out, three or four pianos playing together. As a highly skilled musician with a jazz background how did you feel about playing this way? In a sense, you and the other Wrecking Crew members served in a musical cogwheel rather than each instrumentalist standing out like I suppose you’d been used to playing jazz? Did that affect you in any way? No, it didn’t because you could play jazz your whole life and call yourself a jazz musician but we needed to earn money! The rock ’n’ roll game was money. Unfortunately, most people in other countries around the world in those days appreciated jazz more than people in America did. Rock ’n’ roll was a way to make a living and you got to express yourself – not like you were playing ad-lib of course but to a point. With Phil, it was more structured than with most other producers. Was Spector open towards letting you guys come up with riffs or musical flourishes that would benefit the tracks? I’m wondering how much spontaneity or how many on-the-spot decisions went into the iconic Spector productions you took part in? If that did happen, you may remember some examples? I think very little. Very little. We were given chord sheets that Jack Nitzsche wrote. Basically, we were playing what they call rolling eights or sixteenth notes and most of his charts were the same on every song, just about. It got more interesting when the Righteous Brothers came in. One of my favorite albums that Phil ever did – a favorite of mine because it was a departure – was the Phil Spector’s Christmas album. I think it’s the most outstanding Christmas album of all time. Well, we can agree on that! Looking back, are there other particular Spector sessions you look back on as especially rewarding or noteworthy? Yeah, the first time I met Ronnie Spector and working on those Ronettes sessions. I fell in love with Ronnie first because she was so delightful and easy to work with – it was a real pleasure. Through the decades there have been many rumors about full-blown Spector productions that went unreleased – and during the mid-70s a whole batch of great Philles-era productions did indeed come out on the two ‘Rare Masters’ LPs. Fans speculate that there may be more in the Spector tape vault. Do you remember if you played on something that, to your knowledge, has never come out? Yes, I do. 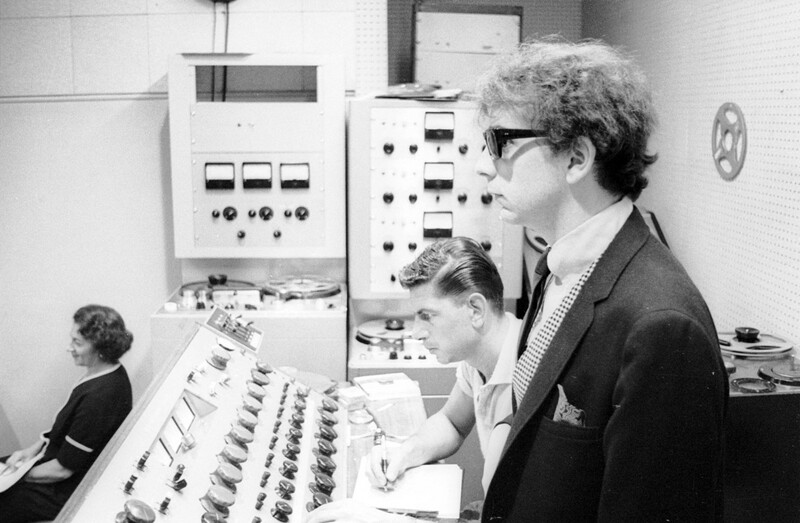 It was something we recorded with Phil Spector – meaning with Phil himself singing! It was this thing we did and I loved it. It was in the style of a corrido which is a Mexican polka. He did this thing and the artist was called “the Little Prince.” And that was Phil! Yeah. That was a fun record. I don’t think Phil ever released it. We had a ball making it. That one was hilarious! Interesting! There were actually a couple of recordings of Spector singing that didn’t see a release. One is “Down at TJs” which was for a television show that never took off. And it’s a really huge Wall of Sound record from about 1966. And then there was another one for the Lucy show, “Lucy in London.” He actually sang the vocals on those two tracks. It could very well have been something I could have played on. I don’t particularly remember those tracks but it could possibly be. We can’t discuss Phil Spector, the Wrecking Crew and the Wall of Sound without mentioning the great Jack Nitzsche. How would you describe the working relationship between him and Spector? Jack was a very close friend of mine. 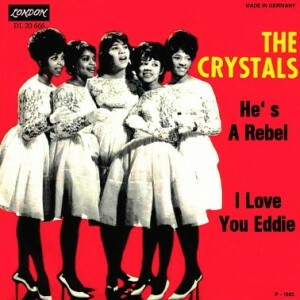 He was a part of my life at the beginning of my association with Phil Spector. My wife and I lived near Jack Nitzsche and his wife, Gracia. 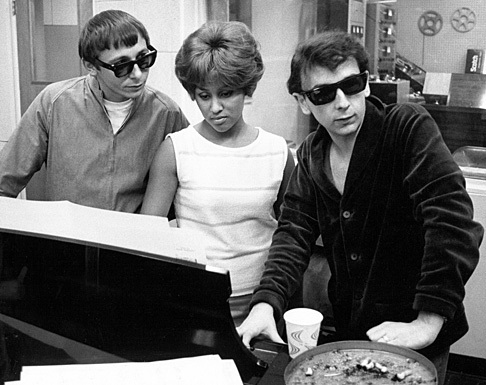 There was a time when Phil Spector, Jack Nitzsche, Sonny Bono and I did everything together. We’d go out to restaurants and jazz clubs, buy our suits at the same place, whatever. We hung out together. We were buddies and a team. In my book “You’ve Heard These Hands” I describe a situation when we took Phil to the airport that’s hilarious. You’ll get a kick out of that when you read it. Speaking of Jack; he arranged a great single by you, “Baby, You Don’t Understand Nothin’,” from 1965. Now, that’s a great song! It seems that all that creativity in Gold Star studios couldn’t be contained on Spector’s productions solely? Other people such as yourself took on that whole sound and did it on their own. I’ll tell you, – it’s really hard to classify that much, you know? 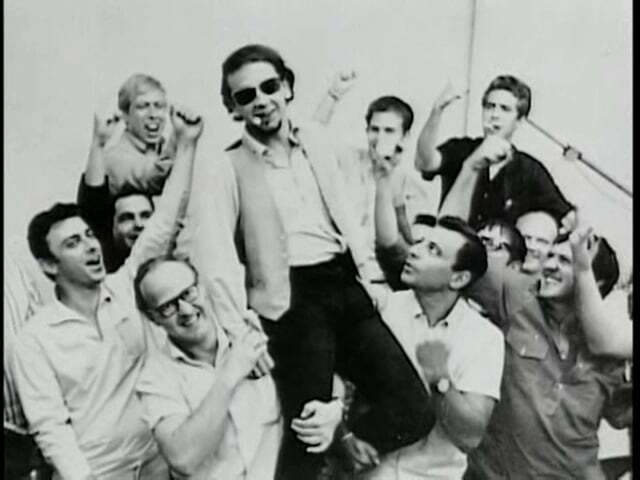 Jack Nitzsche was one of the best arrangers around. He was a very talented composer –that’s why he was such a good arranger. He realized it later on, when he did films and received an Oscar. Jack was also a scholar. He knew what he was doing. I think sometimes he took on way too much work. It was very demanding and Jack just couldn’t keep up with it all the time. It would catch up to him and a lot of that work got done by other people at that point. I know Ray Pohlman would handle some work. I would help him out, too. But it was just that Jack was so damn busy. In terms of “Baby, You Don’t Understand Nothin”’ you have previously revealed that you originally wrote it for the Righteous Brothers and that you did a demo with Glen Campbell doing the lead vocal. When you did a demo was it just a simple, little demo or a full-blown recording? It was a simple demo. Just like maybe two or three of us. The production wasn’t there. But I’m glad you brought that up because some of the greatest recordings we will never hear, that are hit records by other artists, BIG records – are the demo versions that Glen Campbell sang! One of my favorites is one that was written by Red Steagall and Donny Lanier. It was called, “‘Here We Go Again”; it went, “Here we go again / She’s back in town again / I’ll take her back again.” It was a country record and Ray Charles recorded it. And other artists did it. Ray Charles and Norah Jones did it again. It was a hit eight different times with different artists. But the best version was done by Glen as a demo at studio B at Gold Star. It was dynamite! Glen played guitar, I played piano, Al Casey was there… It was great. You’d sit there with the biggest smile on your face and you knew that at some point Glen had to break through as a solo artist. Somebody was going to recognize this and say, “Hey, wait a second! This guy sings too damn good!” And thank god Glen did break through. Gold Star must have been a magic place, – yet, the studio was so small and I imagine it must have felt crammed inside with all you guys gathered for a typical Spector session? In your opinion, what was so special about Gold Star? Well, the first thing that was so special was that they had great engineers there. Between Stan Ross and Larry Levine, especially. They were dynamite engineers and they had the patience and the austerity, so to speak, to handle Phil Spector. Which they needed to have because he could be relentless. Larry Levine and Phil Spector at Gold Star. Also, there was the echo chamber at Gold Star – that funky echo chamber – that nobody else had. That was so important and a good part of it. But I think it also had to do with the fact that we were going with one track – it was mono! That’s the key point for me – how they did get all those musicians, all those wonderful people, recorded on one track. The way recording is done today is so completely different. I mean, it’s not even close to the way we did it at Gold Star back then. Everybody being in that same room together became part of that Phil Spector sound. He knew what he wanted. It wasn’t actually that crammed. I mean, it was small but not that small. It’s fascinating to know that the console only had twelve inputs. And they managed to make those gargantuan records with just that! He didn’t know what I was talking about. He only knew that mono (mononucleosis) was a disease, not monaural. That’s about it. I’d also like to ask you about Brian Wilson. He was very inspired by the things Spector did in the studio. And you played on sessions with both of them. What would you say were their similarities and differences as producers? I would say that the similarities were that they both are geniuses. They both knew what they wanted. Brian’s approach was much more musical while Phil’s approach was much more technical. Brian hired a lot of us for his sessions. He’d let us be a part of his records where we would experiment or come up with ideas. During a session Brian would say, “Oh, that’s not good. Oh, that was great. Let’s do that!” There’s a video on YouTube of Brian and me. He was having a problem on “God Only Knows” and I just said, “Brian, let’s play those chords really short.” And when he heard the word “short” he looked at me, gave me a big smile and said, “That’s it!” Because we were holding the notes down too long on that one section of “God Only Knows” and it works much better when they’re shorter. 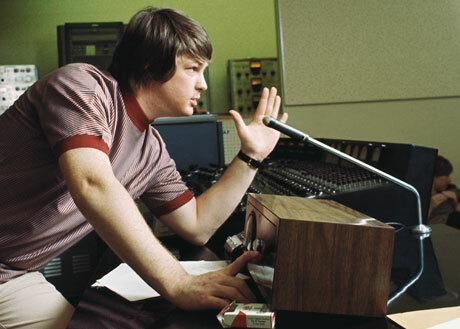 Yes, it’s amazing to listen to those Pet Sounds session tapes. That creativity – oh my god! “God Only Knows” is such a marvelous song. Before Pet Sounds, I did several sessions for Brian but at one particular session we went in, sat down and the music in front of us was completely notated – everything was ready to go. It was a session we did at TTG studios in Hollywood. On the music the title was “Help Me Rhonda.” We played it through and after the first take I just sat there and said “if that’s not a number one hit, nothing is!” I just knew it. It was great! 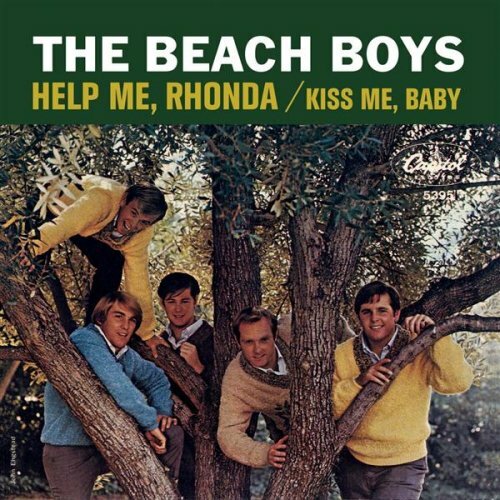 What I didn’t know until just a couple of years ago was “Help Me Rhonda” had been recorded a few months before with Leon Russell at the piano and other Wall of Sound musicians and the Beach Boys. At the previous session, Brian and his dad got into such a fight over Brian’s direction of the song. It was included on an album, but when the version I worked on was completed it was released as a single. If you compare with the earlier version, which was on the Beach Boys ‘Today’ album, you can certainly tell that this later version was the one with the magic touch. Like you said, you can hear that right away. Spector’s recording schedule became more erratic during the 70s. He produced a few singles by Darlene Love, Cher and Jerri Bo Keno and albums by Dion and Leonard Cohen. Did you participate in some of those 70s sessions? I remember participating in the Leonard Cohen sessions. And the ones with Darlene. I also know that you took part in Spector’s aborted recordings with Celine Dion during the 90s. As far as I’ve heard, new versions of ‘River Deep Mountain High’ and ‘Is this What I Get for Loving You, Baby’ were recorded but never came out after there was a falling out between Spector and Celine Dion’s management. What do you remember about those sessions? That’s a sore point … Phil blew a golden opportunity for me. Had he not decided that he was going to “play” Celine and her husband, I could have been making hit records with Celine Dion as we speak – it could have gone on forever. Celine really liked the musicians. She came out to the piano, sat down next to me, a total stranger – and at that point Celine had already become a big star – and started telling me all the stuff I had played on! And then her husband, Rene, came up to me. They were the most gracious, lovely people. There was no way anyone was going to come between them artistically, but Phil certainly did try. Phil ended up alienating Rene and he never wanted to work with Phil again. I’ve read about those sessions and now you’re talking about them. I hope that before they stick me in a box and put me in the ground I’ll hear those recordings at some point. From what I’ve heard they’re supposed to be great! I don’t think you ever will. I don’t think Celine will allow it, unfortunately. At the session, Celine asked me, “Would you be interested in joining our band?” I said, “Oh wow, certainly. Certainly!” So after they had that big row, I thought to myself, “You know, I’m going to call her up.” The problem at the session had nothing to do with me. It was between Rene and Phil. So I left a message for Celine and Rene and heard back from their office – not from them personally – that they didn’t want to have anything to do with anybody who had anything to do with Phil Spector. Unfortunately, Phil could aggravate people to the point where they’ve had enough. What was it Phil said to the Hollywood Reporter? He was so egotistical about it; “You don’t tell Einstein what to think! You don’t tell Mozart what to write. And you don’t tell Phil Spector how to produce!” Oh, come on Phil! He was tough. He got mad at me because I worked with the Righteous Brothers, what can I tell you? We didn’t talk for years until we saw each other again at Jack Nitzsche’s funeral. I saw Phil quite a few times after that. I saw him at court and I appeared on Court TV for him. And I hope I get to see him again. It’s sure been enlightening hearing your stories and I can’t wait for the release of your book. Cover for Don’s upcoming book. A must-read for fans of the Wall of Sound. Back in the 1960s, I tried to pull it together as much as possible but you know, there was one week I did 26 different recordings sessions! I was the arranger on four of those dates. That’s how busy we were. You didn’t have time to think, so to speak. Over five years ago but I went through three or four different writers and didn’t get the book done. Then finally I ended up with this woman I’ve known for years. She’s a production person and her name is Karen Nishimura. And she was the one that really got the flow. She wasn’t trying to rewrite what I was saying. That made it a lot better. 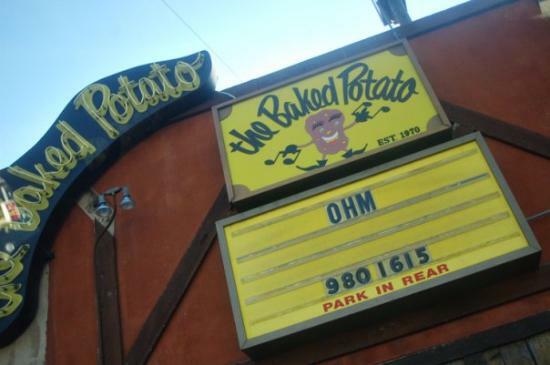 In the book are some really interesting stories about the films and the television shows I ended up writing as a musical director, the jazz clubs I played before and during the period I was busy in recording sessions, and about my own club The Baked Potato which I still play at every month. Really looking forward to it – as I’m sure the readers of Cue Castanets are as well. Don, a heartfelt thank you for taking your time to give this interview! Now if that’s not a cool title for a book I don’t know what is! 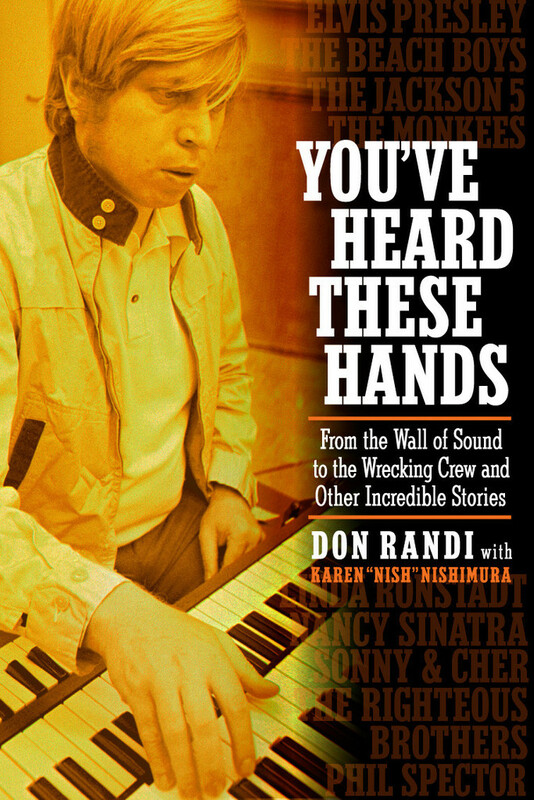 Turns out iconic Wrecking Crew pianist Don Randi is issuing a memoir, come September. I only just learned about this today and was pleasantly surprised. Don behind the piano during a session, second from left. Maybe it’s all the well-deserved hype sorrounding Denny Tedesco’s Wrecking Crew documentary that we can thank for cool stuff like Don’s book coming out? It’s definately about time the Wrecking Crew and its assorted members got their due respect. Besides Don’s upcoming book we of course have Hal Blaine’s old book about his days with the crew as well as two more recent books dealing with the same subject, Ken Hartman’s The Wrecking Crew and Ken Sharp’s Sound Explosion. I have Hal’s book and enjoyed it even though it’s a quick read and a bit of a fast-forward account – the two others I’ve yet to get my hands on. But they’re definately on my list. Aw man, check this one out if you haven’t heard it before – this is as good as it gets! I’ll end this post with links for the books mentioned so you can order those you don’t have asap.